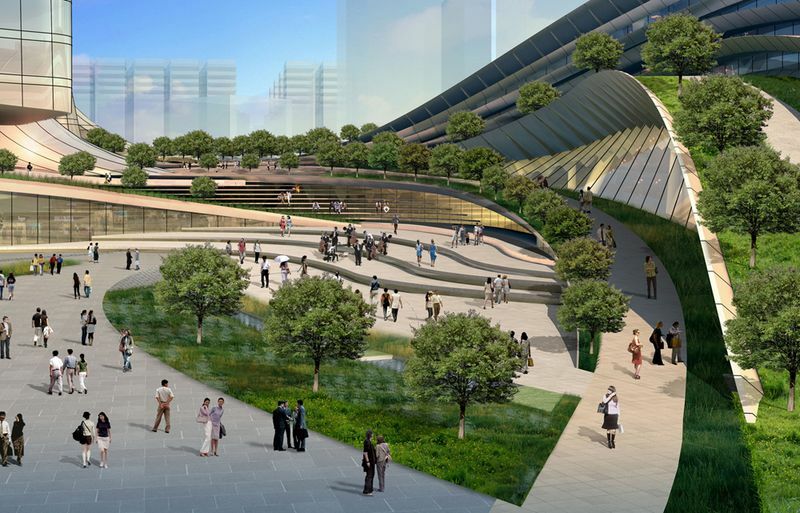 One of the flagship projects of Aedas – the Express Rail Link West Kowloon Terminus – was crowned the much coveted Best Futura Mega Project in MIPIM Awards 2012. The results were announced at MIPIM, one of the biggest architecture and real estate show in the year, held at the Palais des Festivals in Cannes of France. 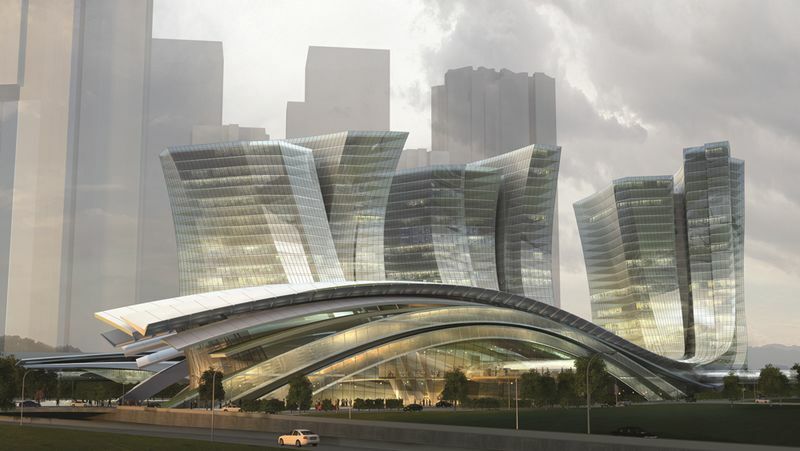 Designed by Andrew Bromberg of Aedas, the high-speed rail terminus station will connect Hong Kong toBeijingwith the largest rail network in our history as it completes construction in 2015. 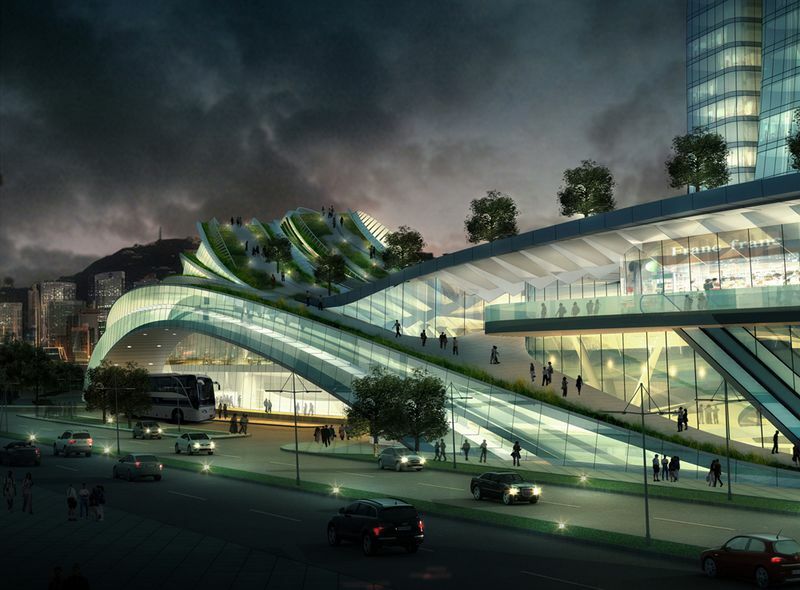 Located centrally inHong Kongwithin the city's urban realm, the 430,000 square meter facility, equipped with 15 tracks, will be the largest below ground terminus station in the world. The WKT will function more like an international airport than a rail station as the facility have both custom and immigration controls for departing and arriving passengers. 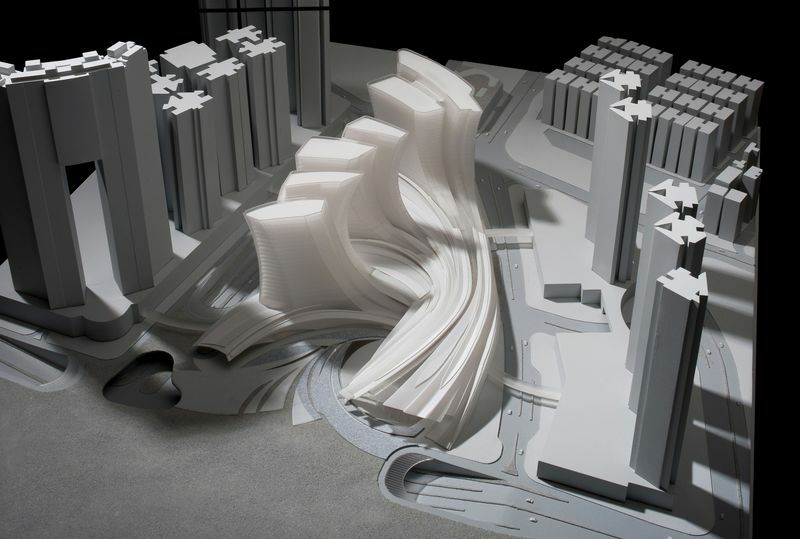 Being a "gateway" toHong Kong, the Terminus was designed to be an architecture that connects with the surrounding urban context as much as it makes visitors aware of the city's character whether arriving or departing. To achieve this, the design efficiently compacted all of the supporting space to allow for a large void down into the departure hall below, with added apertures going down to the track platforms. The outside ground plane bends down to the hall and the roof structure above gestures toward the harbour. The result is a 45 meter high volume which focuses all attention to the south façade with views of the Hong Kong Central skyline,VictoriaPeakand beyond. Each year, the prestigious MIPIM awards receive the most innovative, ambitious and exciting real estate projects from around the world. This year features an impressive mix of projects competing in eight categories, four of which are new and focus on some of the industry's high-potential sectors: Best Industrial and Logistics Development,BestRefurbishedBuilding, Best Shopping Centre and Best Futura Mega Project. The results were voted on a group basis, from respectively the jury of leading real estate professionals and MIPIM participants. This is the fourth design award won by the Express Rail Link West Kowloon Terminus to date, testifying once more Aedas' outstanding capabilities in the sector.